From proactive alerts to supply chain advice, we strive to ensure prompt and accurate communications with our clients. Our dedicated approach to customer service will always ensure you are working with a Congebec representative that understands the uniqueness of your business and the importance of your needs. 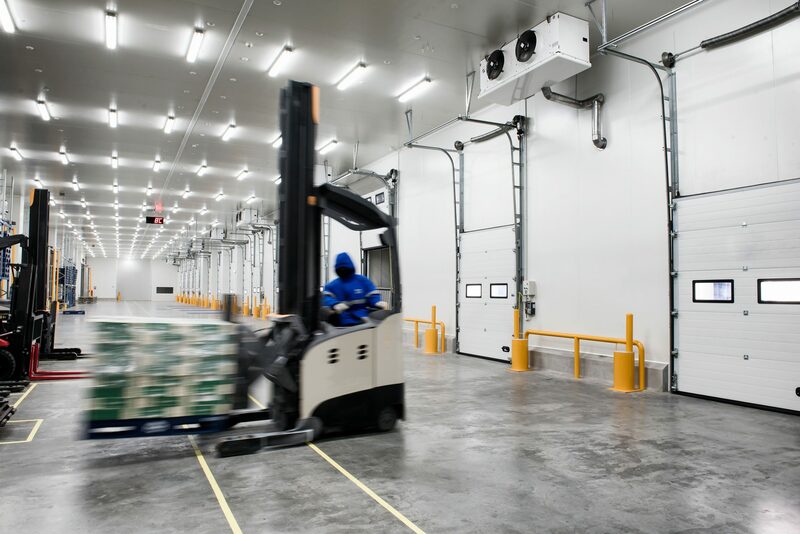 Whether fresh, frozen or ambient, Congebec stores your products at the optimum temperature. With a focus on Canada, and all points to and from Canada, our local expertise takes advantage of all modes to effectively manage any shipment size for our clients. Take advantage of our logistics expertise to optimize your distribution network by contacting one of our representatives. The flexibility of our staff and equipment allows Congebec to provide dynamic value added solutions for various product types and categories. Use our distribution and consolidation platform to optimize your supply chain. Storage Solution for raw ingredients using just-in-time arrival for your production.